$57.99 Jaton 3DForce6200Twin-LP 300? 275? Aopen Aeolus 6200-DV128 300? 275? Aopen Aeolus 6200-DV256 300? 275? XFX GeForce 6200 128MB DDR ... 300? 275? XFX GeForce 6200 256MB 300? 275? XFX GeForce 6200 300? 275? 3D Fuzion GeForce 6200 300? 275? Gigabyte GV-N62128DP2 DDR2 300? 275? Gigabyte GV-N62128DP2-RH DDR2 300? 275? Zogis GeForce 6200 256MB Lo... 300? 275? Galaxy GeForce 6200 256MB DDR2 300? 275? Palit GeForce 6200 128MB 300? 275? 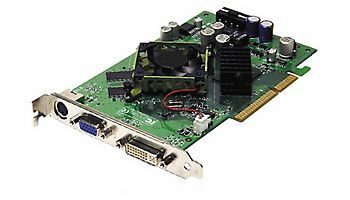 Palit GeForce 6200 256MB 300? 275? Gigabyte GV-N62256DP2-RH DDR2 300? 275? XpertVision GeForce 6200 300? 275? XpertVision GeForce 6200 256MB 300? 275? Diablotek GeForce 6200 128MB 300? 275? Diablotek GeForce 6200 256MB 300? 275? Jaton 3DForce6200Xe Small FF 300? 275? Jaton 3DForce6200Twin-LP Sm... 300? 275?